The Goal of this group is to have the best classic experience as possible, threw high population and even faction balance. The server list is not out yet, but we plan on joining a PVP server with as few streamers as possible in the North American Central Time Zone. We believe that Central Time Zone benefits the most players by getting them to play on server time, or only one hour off server time. Sorry West Coast Players, but accommodating you is rough on everyone ells. I started this community group just after blizzard announced they were going to relaunch classic. My first goal was to gather my friends to play with me in classic. Once I gathered my friends I realized that if the server turned out to be a bust they may stop playing, or if I did not get their friends into the server too one of them could pull a friend away from the server. Once again my goals had changed, and now I am here today. I am gathering players of both factions to pad out the server population before hand to make sure that the server stays high population even after the tourists get board with classic and leave. I am getting a faction head count on the discord to make sure the group is staying even with both factions. As one faction has pulled ahead I have recruited for the other faction. When i started playing WoW back in Classic I had no real life friends who played. I made more friends who did play but they were always on a different server. I ended up playing till Warlords on my own joining a guild here and their but never having a core of friends to play with. It sucked. This time I have my friends, and you know who your friends are too. Join me and my friends and we can have a great time in classic like we never had fun in World of Warcraft before. As the community group stands today we are 1200 players strong and counting. With this many players we will make up 1/6th of the active server population. We will be jump starting the server economy. We will have enough players to ensure we can find leveling groups for the players who want to race to the level cap, or for dungeons and leveling quests. The Community chat will be a boon to our players who are looking to fill groups. At 2,000 players we will have enough players to safeguard against the population drop that every server will face when the tourists leave. This will leave our server as a high population server when most will be struggling to stay alive. I hope that you will consider joining our group. I am working hard to make sure this is the best shot anyone has for an amazing Classic World of Warcraft experience. 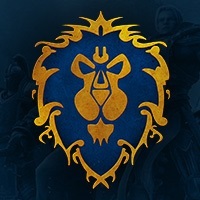 You don’t need to do anything in this group but join, and remember to check it when you get ready to play Classic WoW . I hope you would take the step to invite your friends to. Blizzard Groups let you stay connected with friends and other Blizzard players. Discuss strategies, play time, or anything else on your mind. This will launch the Blizzard Battle.net App. This first community group is full. Communities have a 1,000 player cap. We started a second community group. Discord so far looks like it is going to be the best way to stay in touch with all of the players. Facebook group is for the people who rather use facebook, or have friends who don’t have discord, or Blizzard accounts to be invited into the communities. Also facebook does not have a population cap. Thank you for your time and consideration. I hope to see y’ll in classic. We also have a server plan in development to get the The Black Qiraji Battle Tank to the most players as possible. Misdirect is a raiding guild looking to expand its roster. We are a small knit group of big personalities with a lot of heart. It’s great to play this game with such a group, but it does not support the ability to progress in Mythic. With a group of mostly working adults, real life comes first, and its often life that halts our progression. We want to secure our ranks and start running multiple groups through the week and into the weekend to ultimately support a Mythic raiding team that is successful. With mythic progression halted until 8.2, we have no plans to further progress in BoD. We do plan, however, to continue to clear heroic every week and run alts/new recruits through normal. We will be raiding Crucible as soon as it’s available and also plan on clearing it through Heroic. We are currently openly recruiting. Players of all backgrounds are welcome here. If you find yourself on the more casual side of things, we have new friends for you to meet. If you are interested in starting raiding for the first time, we have a strong base of players to help you. If you are looking to raid heroic only, we achieve AotC every tier. If you are looking to raid mythic, we are currently building our ranks to support that but have halted Mythic progression for now. Our goal is to return to Mythic by 8.2, we just need you to get there! We currently run one group through the week. With open recruitment, our plan is to push the current group to a full 30, but to keep recruiting from there. We will be recruiting players of all backgrounds to make the guild more active and to further engage our team in multiple raid groups. By having multiple raid groups, the guild will be able to sustain multiple difficulties of raiding with the end goal of creating a community where all are welcome and look forward to logging in. Outside of raids you’ll find that we enjoy other ingame content: islands, pvp, and mythic keystones. We make sure that anyone who wants completes a +10 keystone for the week for the cache.